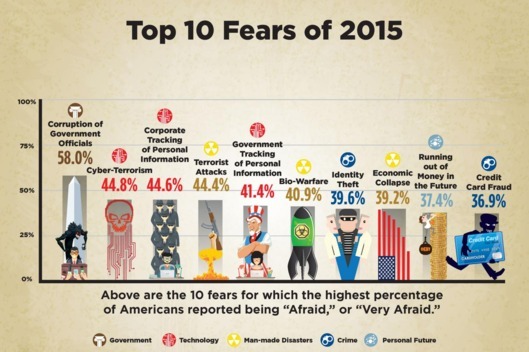 The graph is an interesting reminder of how tricky it is to quantify something like fear, especially on a four-point scale. You can be "very scared" of both corporate tracking of personal information and terrorist attacks, and yet only one carries with it the risk of death or dismemberment. For those who want to know more, details are here and the methodology (PDF) is here.